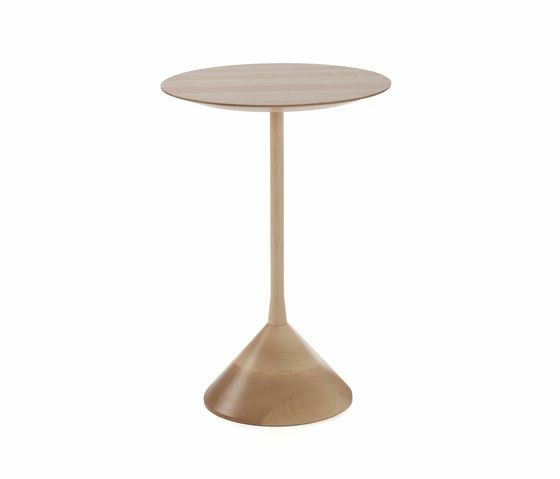 The small Fres side table has a fine design, created with a playful and movement sense giving as a result an extremely useful and flexible element. Fres is easy to move and has the right size for a book or cup of coffee. Is a table to use in active environments. Solid wood. Wood base with iron soul inside and finished with epoxy paint.